The champion rarely needs further proof of success, in the hearts of public opinion. And when you’re trying to entice a reticent audience to take a risk, that proof may be the special catalyst you need. For more than 100 years, innovators in aviation have recognized that the key to their economic viability usually lies in gaining public acceptance—and there are few more visible ways to achieve that than winning a race, or setting a new record. When I recall the races to win various speed prizes back in the early days of commercial air transport, I see the parallels to today’s efforts to demonstrate the concepts going into electric aircraft. Case in point: Rolls-Royce building an all-electric aircraft with the intent to move the bar past 300 mph.1 The project, part of Accelerating the Electrification of Flight—or ACCEL—shows that even a world leader in the industry can’t just toil away in isolation. A prize, and the publicity that goes with it, will be needed to catalyze acceptance. With the barriers that we must still surmount in making electric-powered aircraft the standard, having the public behind it is critical. In 1935, Douglas Aircraft Company met a similar challenge. With its DC-1 and DC-2 flying, it faced intense competition from European manufacturers—and a still-reticent public not yet sold on the idea of transcontinental flight. The U.S.-based National Aeronautical Association (NAA) wished to recapture a raft of speed records and prove the value of American aircraft manufacturing. 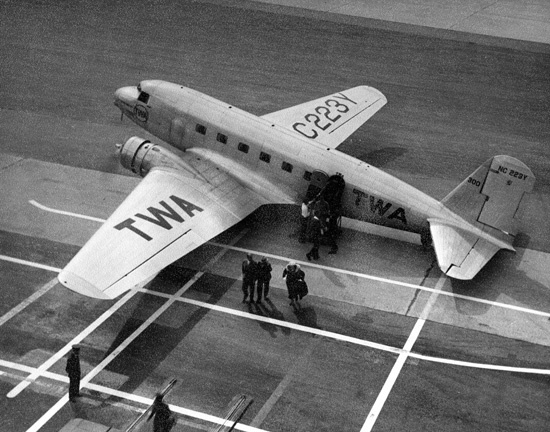 So TWA, who had purchased the original DC-1, loaned it in pursuit of gaining back the advantage. The proposed electric aircraft from Rolls-Royce’s ACCEL intends to double that mark. Though attaining a pure speed won’t fully solve other critical elements of the problems faced (battery weight and life, among others), it will surely contribute to the public’s good perception of the concept. In hot pursuit of viable electric aircraft, success will breed future acceptance. 1: “Rolls-Royce goes for record with 300mph+ electric aircraft,” published online in Flyer. 2019 Seager Publishing. Accessed January 10, 2019.